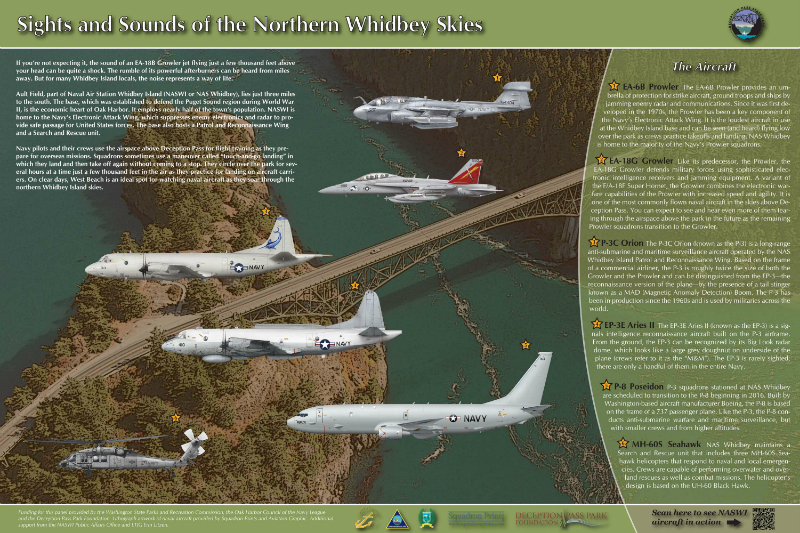 Any regular visitor to Deception Pass State Park knows that low flying aircraft from the Whidbey Island Naval Air Station are a fact of life here. Their main runways are a mere 3 miles from the park and often there are dozens of flights in a single day as pilots train for upcoming deployments. If you’re not used to it, the sounds can be startling. Park staff get a lot of comments, questions and sometimes complaints about the Navy planes that fly over the park from non-local visitors who aren’t aware of this element of northern Whidbey Island. We thought that this represented a great opportunity for public education both about the presence of the Navy in Oak Harbor and the purposes of the aircraft they fly. 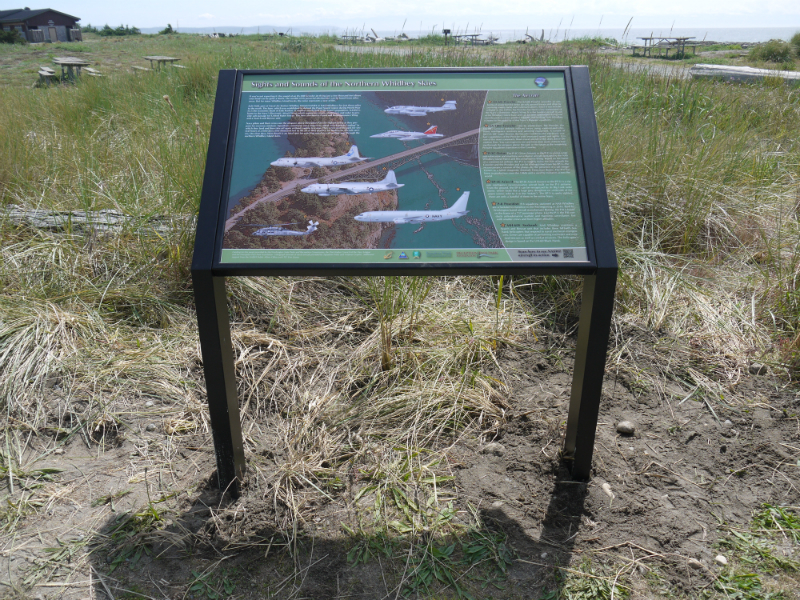 Our 2012-13 AmeriCorps member, Sam Wotipka designed an interpretive panel featuring lithograph artwork of the aircraft that are most commonly seen from the park. He received assistance from LTJG Erin Litzen of NASWI. 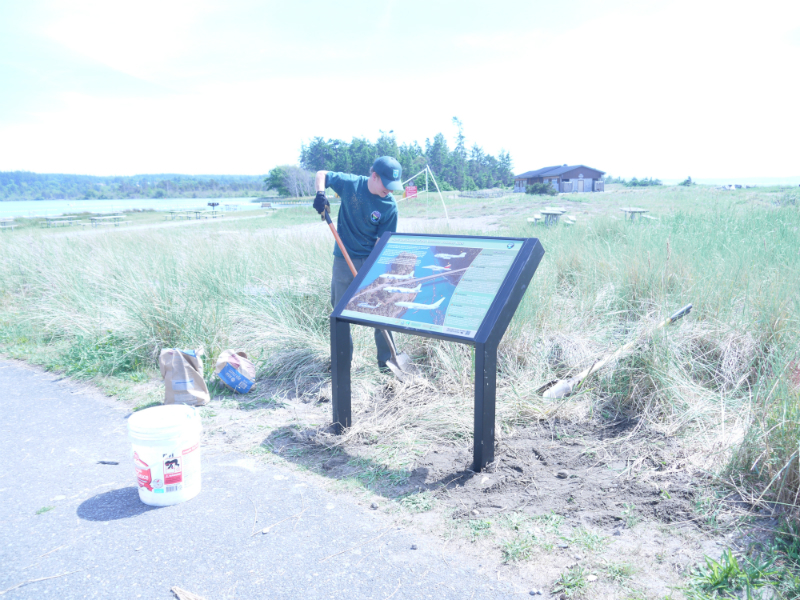 The fabrication and installation of the sign were jointly funded by the Deception Pass Park Foundation, the Navy League of Oak Harbor and the Washington State Parks and Recreation Commission.